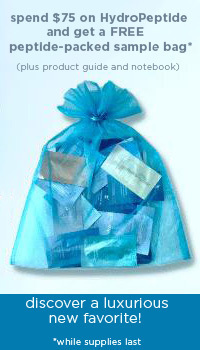 Target, Tailor, and Treat is the Wilma Schumann unique recommendation module designed to tailor-make specific skincare regimens to meet individual skin conditions. Marrying beauty with solid research produces spa-quality, anti-aging, flawless skincare results with the Wilma Schumann Skin Care line. 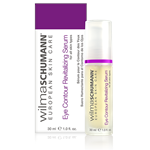 Wilma Schumann skin care products comprise an assortment of pure botanicals, antioxidants, and advanced lifting and repairing ingredients which produce clinically proven results using dermo-esthetic technology. 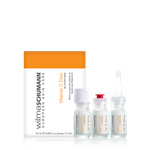 Wilma Schumann skin care products offer anti-wrinkle creams, skin brighteners, and other serums to reduce wrinkles and fine lines and repair and renew the signs of aging. 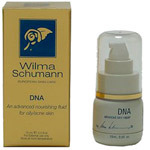 Wilma Schumann DNA 0.5 oz. 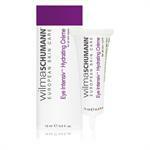 Wilma Schumann skin care products were developed in Germany in 1976 and moved operations to the United States in 1987. 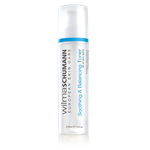 Wilma Schumann skin care products are distributed to thousands of spas, skincare centers, and physician’s offices worldwide spanning over 15 countries. 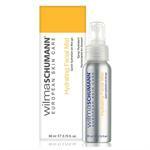 Wilma Schumann skin care products frequent the faces of many famous celebrities. 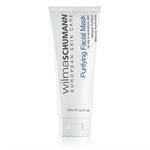 Actress Christina Applegate tells People Magazine she is plagued by under eye bags and is a confirmed addict to the Wilma Schumann Skin Care Liposome Eye Contour to reduce her puffy eyes. The Wilma Schumann skin care Facebook page confirms Justin Timberlake is a loyal customer to two Wilma Schumann skin care products: Wilma Schumann Skin Care Liposome Eye Contour and Wilma Schumann Collagen 2000. 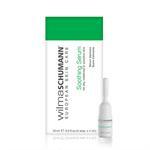 Key ingredients in Wilma Schumann Collagen 2000 are native collagen, lactic acid, glycerin, and panthenol, a B 5 vitamin. Wilma Schumann Collagen 2000 is fragrance-free and non-irritating with a highly concentrated formulation that retains 30 times its weight in beneficial moisture. Along with the original Wilma Schumann Collagen 2000, Wilma Schumann Collagen 2000 Marine also delivers the benefits of collagen from natural marine sources with no marine odors and is fragrance and irritant-free. Wilma Schumann Skin Care DNA Plus is an Omega 3-rich serum to hydrate and slow the signs of aging. 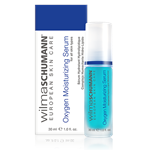 Wilma Schumann Skin Care O2 Oxygen Blu combines lipids and pure oxygen to offer a premium, oil-free moisturizer for acne prone skin. 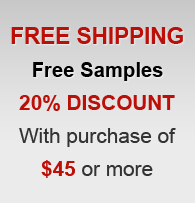 Wilma Schumann skin care offers a complete line of cleansers, toners, repair serums, and more. Dr Skin Spa fantastic however I ordered another product from the Shagal line and it was from a Supplement Depot which I would not recommend. I have had issues in returning the item for refund. 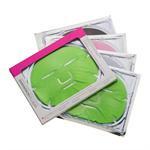 Dr Skin Spa staff helped me get the correct product. They were very helpful to me.